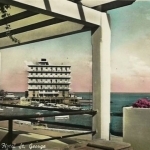 The Saint-George Hotel has featured in many newspaper stories, magazine articles, books and films. 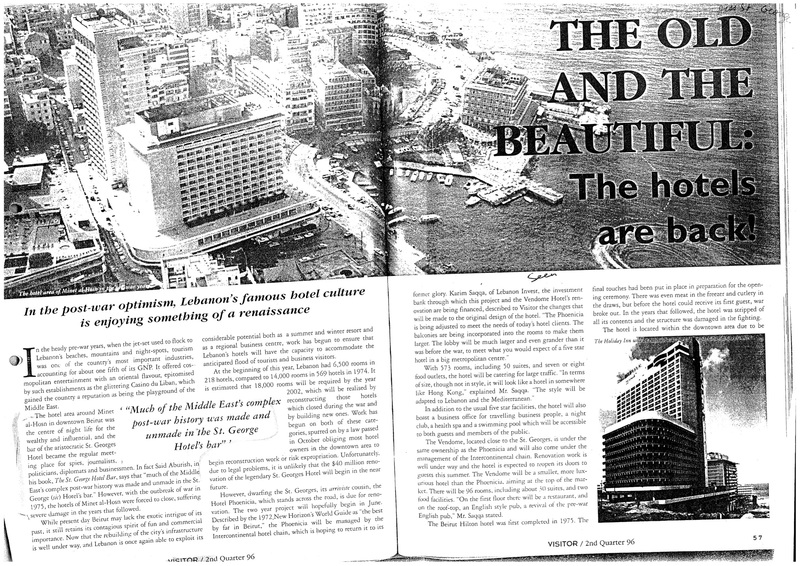 “Beirut’s centre of business and rumour, of brief encounters and social display. Oilmen, government officials, the rich and the lonely, conmen and journalists of all nationsgather here to taste Beirut’s simmering sense of affairs”. Today, however, the media tells a different story. 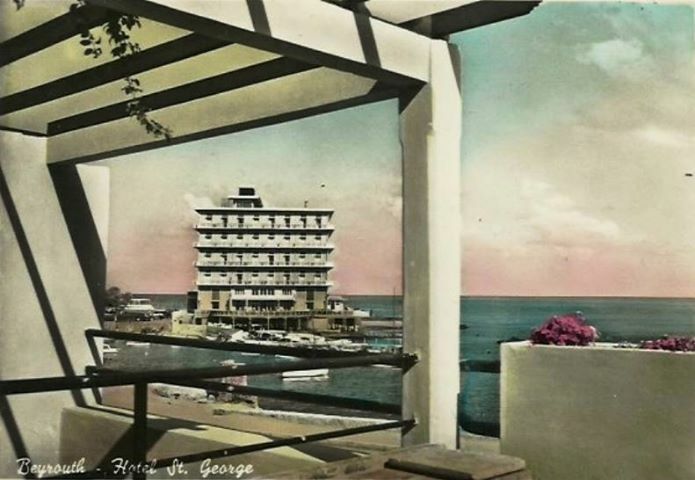 “Since the end of the civil war,” says Beirut’s Daily Star, “the story of the Saint-George Hotel has proved a divisive one, with many in Lebanon decrying the bully-boy tactics and dubious business practices of Solidere as it went about the regeneration of downtown Beirut”. “Neither public nor private, Solidere epitomises a hybrid economic world whose viability is fundamentally dependent on huge infusions of state capital, public revenues that might otherwise serve other unsung sectors of the economy. Tacit state guarantees also encourage profligate fiscal irresponsibility, fraud, croneyism, monopolism, and excess expenditure that further draw down the state’s meagre resources, explode its national budget deficit, and atrophy the civil state.